It was long back in July 16, 1945; the first atomic bomb was exploded. Trinity was the test of an implosion design Plutonium bomb by US in White Sands Proving Ground in New Mexico, US. The explosion which was equivalent to 20 kilotons of TNT changed the future and nuclear weapon age begins. After that nuclear technologies developed with astonishing speed and Fusion bombs etc are emerged. It is said that at the time of test the scientific director of Manhattan Project J. Robert Oppenheimer reminded a line from the Hindu scripture Bhagavad Gita - I am become death, the destroyer of the worlds. In Hiroshima and Nagasaki it was proved that Atom Bomb is really a destroyer of the worlds. It give so much power in the hands of people and nation who are authorized to use it. After that more and more countries acquired nuclear technologies. As year passes more joined in the nuclear club and many impatiently waits outside. 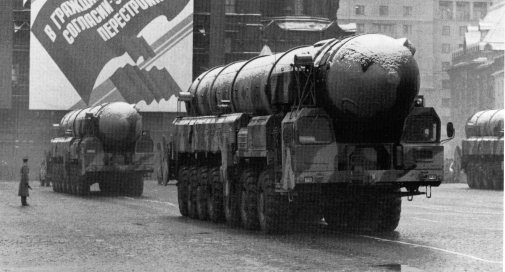 US, Russia, UK, France, China, India, Pakistan and North Korea have nuclear weapons in their arsenals and many countries are in shadow state.In 1985 there are around 65000 active nuclear weapons, it reduced to 20,000 active weapons in 2002. But it is more than enough for humans. 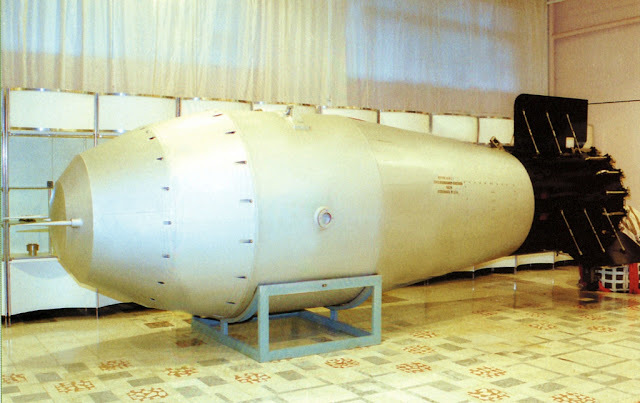 For example Tsar Bomba or RDS-202 Hydrogen bomb, the largest and most powerful weapon ever detonated in earth - developed by Soviet Union with yield of 50 megatons - This is equivalent to 10 times the amount of all explosives used in World War II including two nuclear weapons detonated in Japan. Remember that the technical design is capable of 100 megatons. This 3 stage H-bomb created a mushroom cloud of 64kms- 7 times higher than Mt Everest and a power output of 1.4% to that of the sun!!! What will happen if bombs of this type detonated in war? Like any other technologies nuclear technology too can be used for good purposes like generating electricity. Using 59 plants "Électricité de France" produces 87.5%(a staggering 425.8 TWh in 2008) of total electricity production using nuclear energy. 18% (around 100 TWh is exporting to other countries) and France's electricity cost is the lowest in Europe. But the irony is that no country will completely avoid their nuclear weapon program(exception is South Africa). But the question raising about all these nuclear programmes is that there is already many diseases and other natural and man made calamities which are enough for humans to suffer, so is it necessary to use nuclear energy too to kill the humans most effective ways?